Square Enix has announced that the upcoming update for the Final Fantasy XV: Episode Duscae 2.0 demo will be releasing early June. 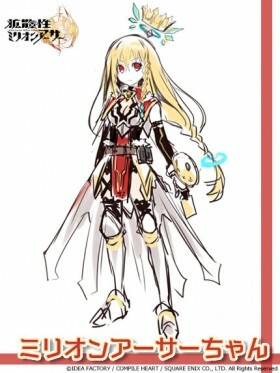 Hyperdimension Neptunia Victory II Collaborates with Million Arthur for New Character! Yesterday, a teaser website for the currently on sale PlayStation 4 game, Hyperdimension Neptunia Victory II has opened and has revealed that the game will be collaborating with various game companies to bring in new characters to the game. The first game the series will be collaborating with is Square Enix’s Kakusansei Million Arthur and the character below will be the collaboration character, Million Arthur-chan. The next collaboration character will be revealed on May 21. Otakomu and various Japanese anime blog sites are reporting that Square Enix will be releasing a Kingdom Hearts mobile game for both iOS and Android titled Kingdom Hearts: Unchained Key this year. The game will be based off the PC browser game KINGDOM HEARTS χ[chi]. Square Enix has uploaded a teaser trailer for the upcoming Saki OAD which will bundle with the limited edition 14th manga volume of Saki. Volume 14 will release July 25, 2015. 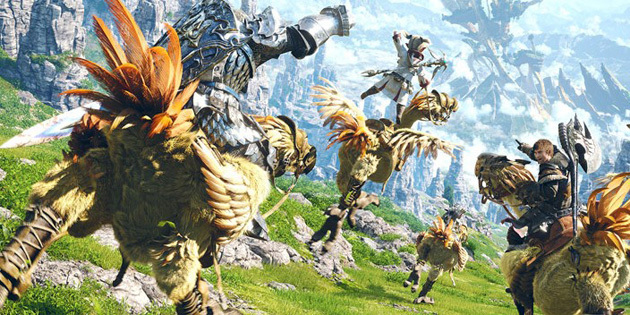 During the Niconico Chou Kaigi 2015 conference held in Chiba, Square Enix revealed a new trailer for Final Fantasy XIV. The trailer is for the upcoming expansion Final Fantasy XIV: Heavensward.